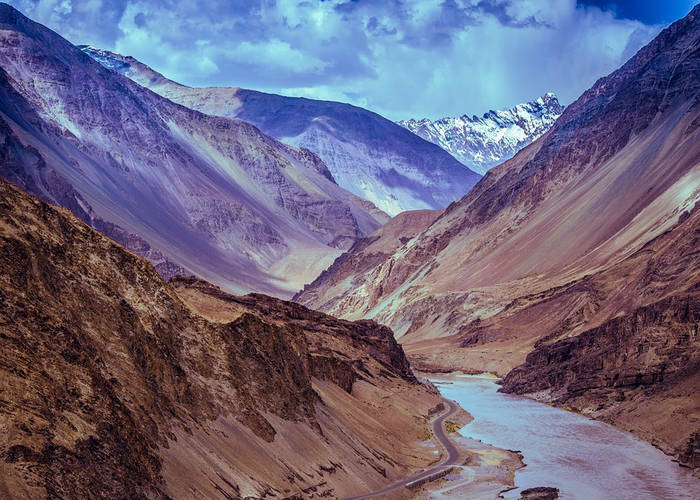 Explore and experience untravelled parts of Ladakh and Spiti including the highest motorable road of 5,600 mtr, visit ancient Buddhist monasteries, Tibetan nomads with their caravan of Yaks and Pashmina goats on a Royal Enfield. 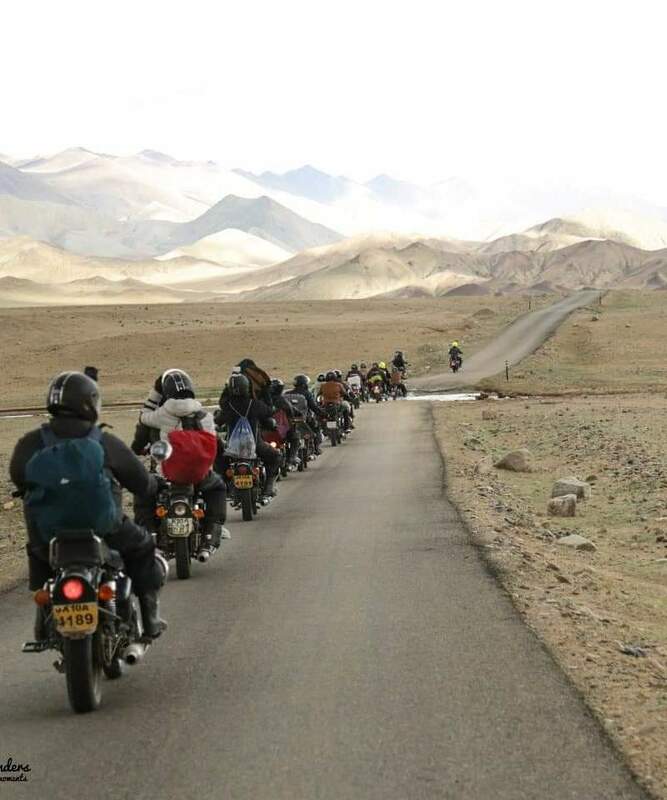 If biking is the reason you live, then this Ladakh and Spiti Bike Trip has a place for you. 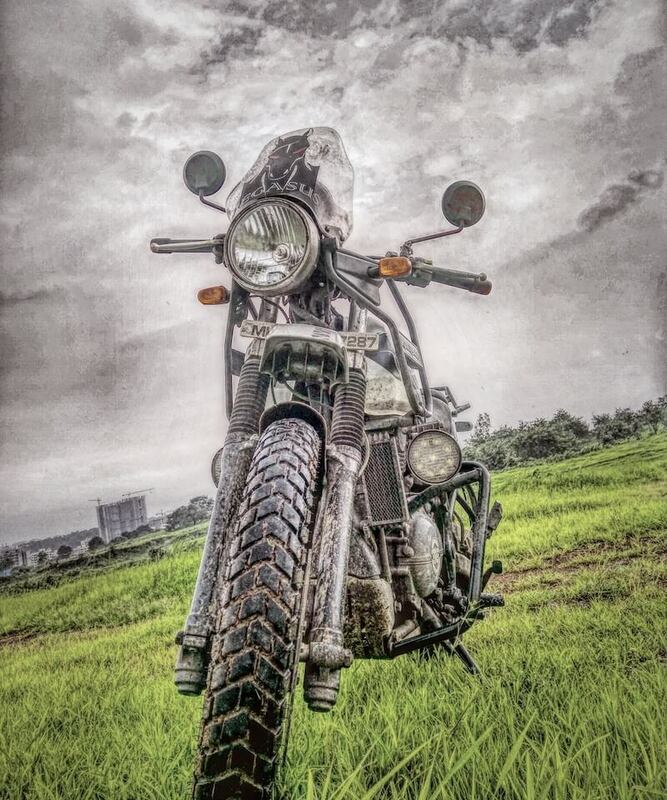 This ride offers a challenging route and is bound to take your breath away! 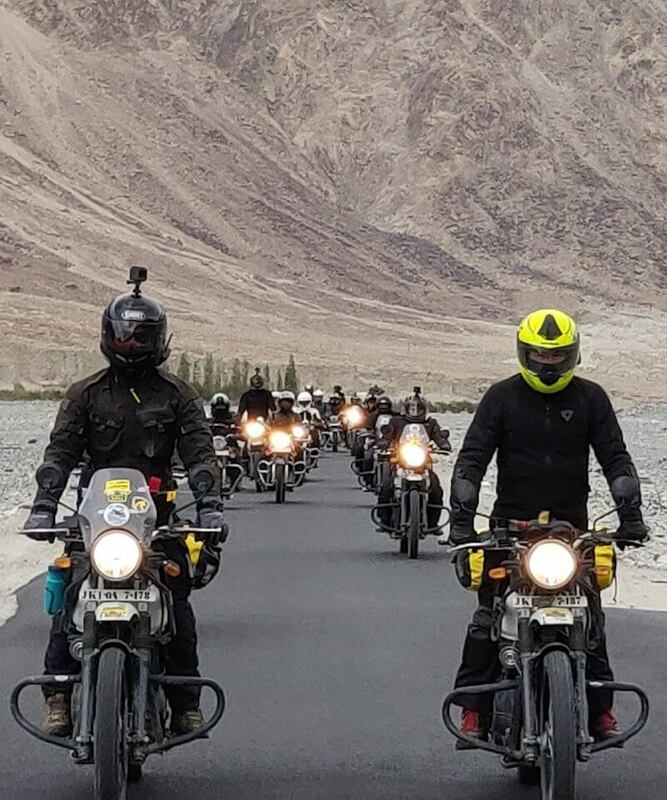 Ride through the one of the most spectacular and picturesque landscapes in the world and cross over high mountain passes with breath-taking views of snow-capped peaks, rugged terrain and challenging routes. Participants who are coming from other parts of country are required to reach Delhi one day prior to the start date. The journey start from Delhi. Halt for breakfast is enroute. Enjoying driving/ riding through cities and later the majestic mountains welcome you. Narkanda is situated after Shimla. Reach Narkanda/theog by evening. Enjoy Dinner and overnight stay in Hotel. 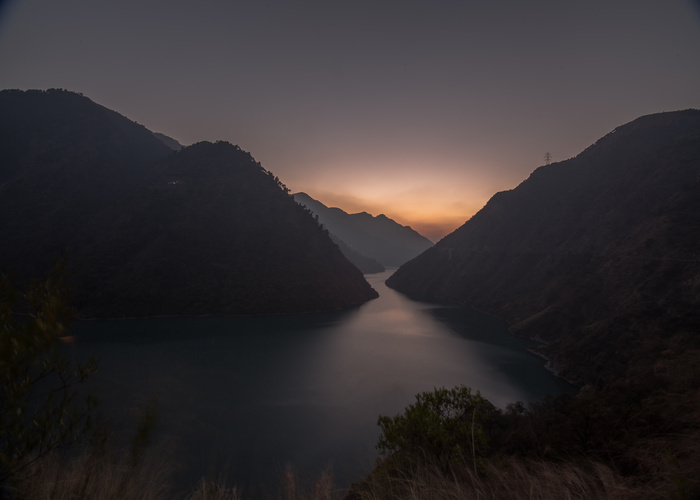 Start journey in morning after breakfast leave early from Narkanda and enjoy the vistas en route. 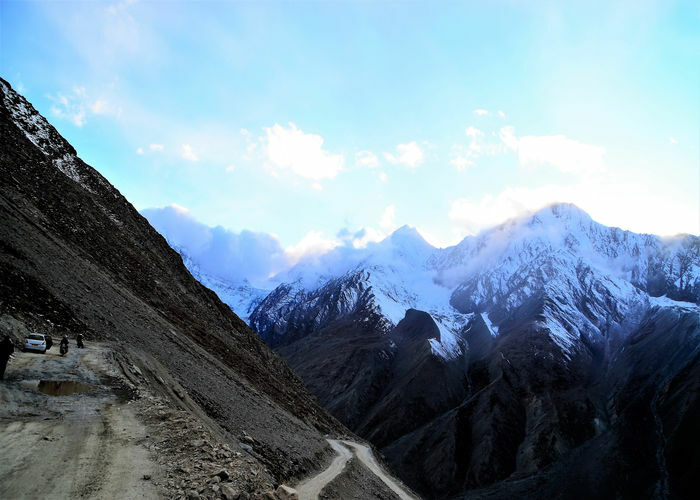 Enjoy a beautiful drive through Kinnaur Valley .If somebody wants to visit Chitkul, then they can choose to visit and come back to the Hotel/Camp. Leave for a small picturesque nako village after breakfast. The good and challenging roads await us. We will be moving from greener areas to the rocky & barren landscape. Enjoy Khab, confluence of Spiti and Satluj Rivers, see the Leo Purygal Peak from Khab Bridge. 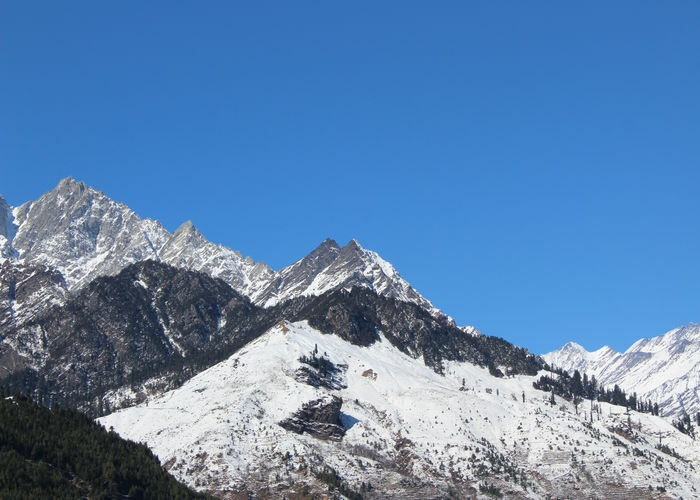 After Chango – Sumdo we will enter Spiti Valley. Enjoy dinner and overnight stay at Nako. 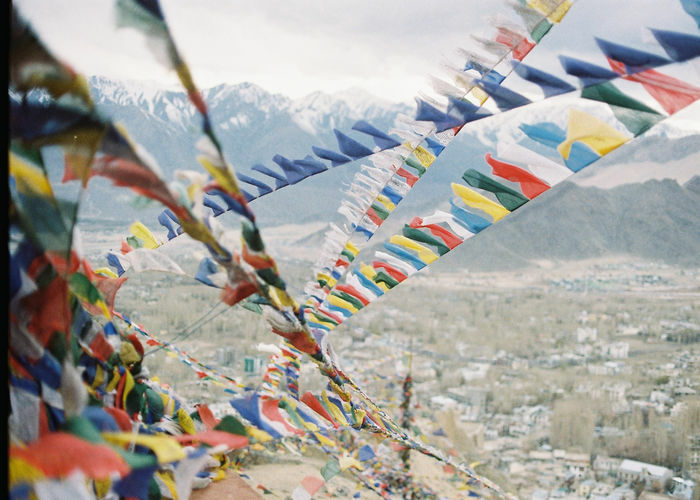 Gompa. 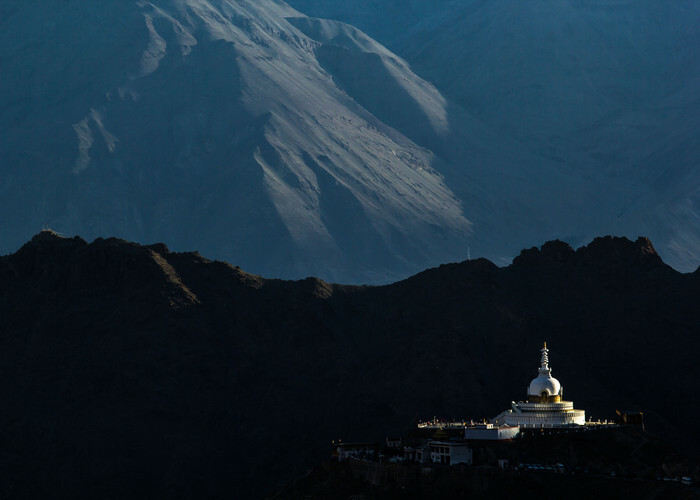 Ki is the largest monastery in Spiti. Kaza petrol pump is the highest petrol pump in Asia. 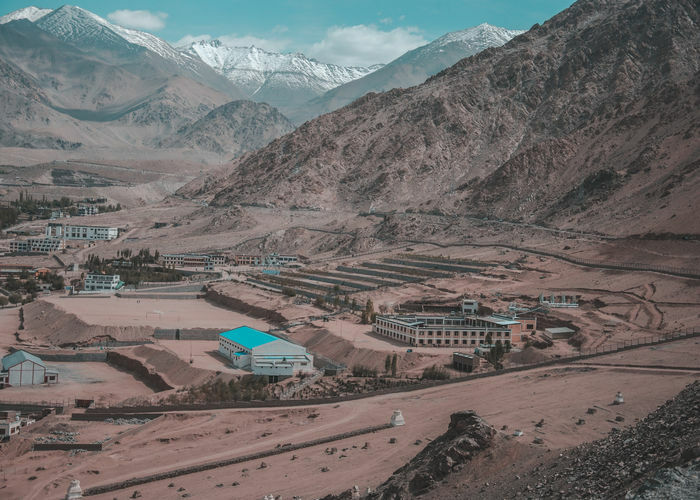 And Komik is the highest village in the world connected to road. Evening at leisure. Overnight stay. 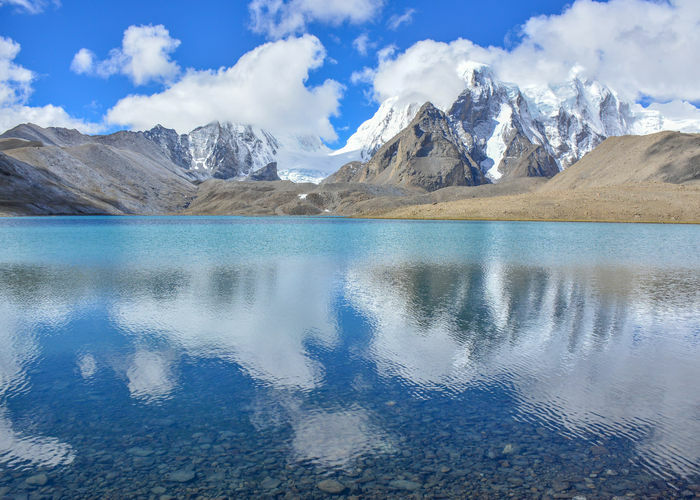 Enjoy the great view of Chau Chau Kang Nelda peak from Langza. Also Statue of the Buddha near Langza looking down the valley. 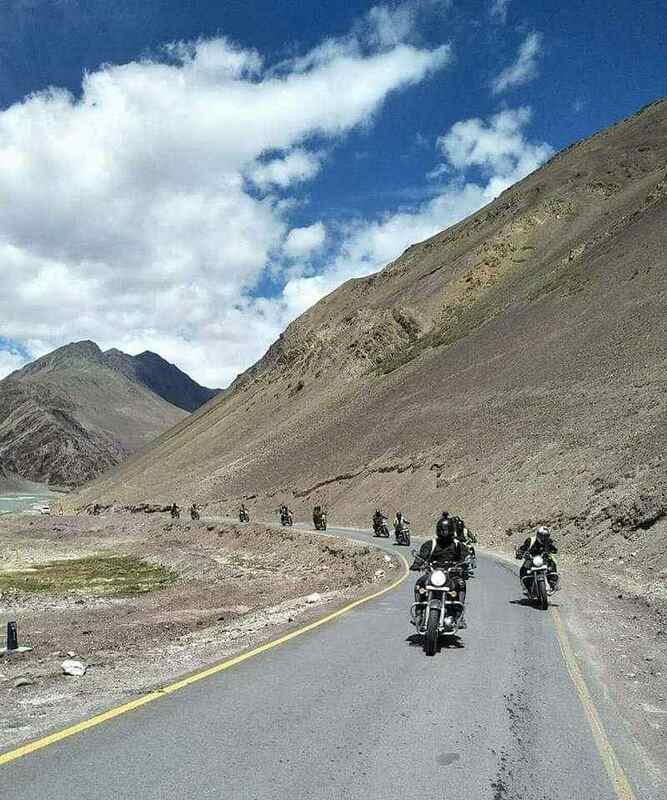 Today is tough ride as we will cross the Kunzum Pass. 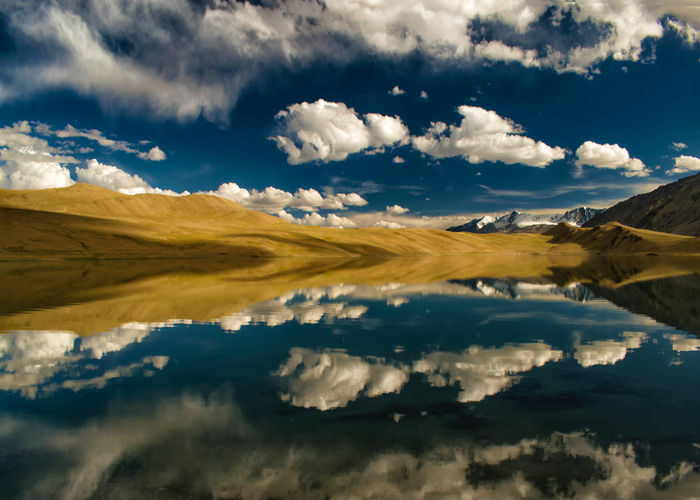 Enjoy the most scenic drive of entire Spiti Valley between Kaza & Chandratal. We will stay at Chandra Tal today at the camping site. Enjoy overnight stay. Chandratal is at 30 min walking distance from campsite. Vehicles are not allowed till campsite only. Start journey after breakfast. 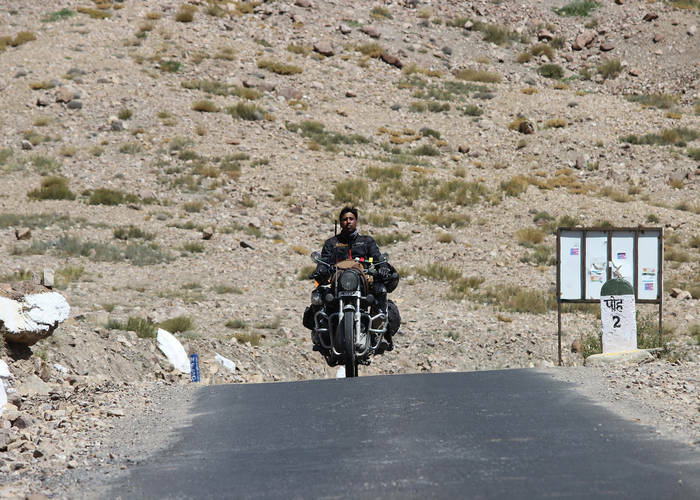 Today we will cross Khoksar and enter the Leh region. The temperature will be low and the ride /drive will be tough today, so be prepared for the thrill and to check your driving/ riding skill. Reach Jispa by evening. Enjoy overnight stay in hotel with Dinner. Today we will start journey for Leh. Start early morning after breakfast. Enjoy the most beautiful sights that will take your breath away but a mix of good roads and bad await us on our way. 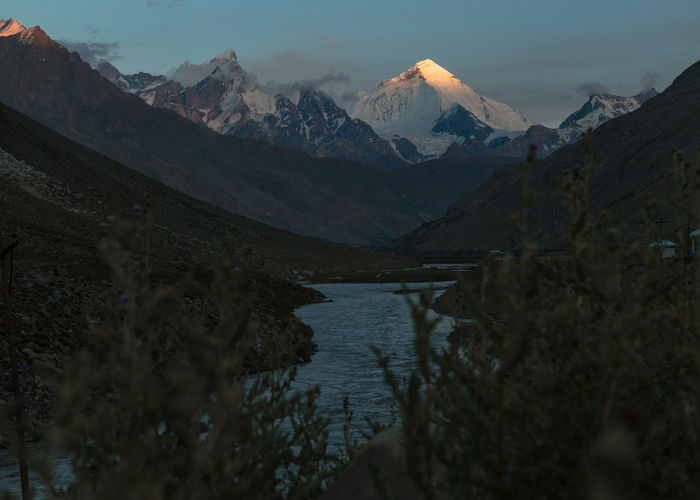 We will cross the second highest pass Tanglang La, Moore Plains, Pang, Sarchu Gata Loops (Total 21 Pins). Reach Leh in evening; enjoy overnight stay in hotel with Dinner. Day at leisure. Wake up late and after breakfast enjoy your day. Explore the main attractions of the city. 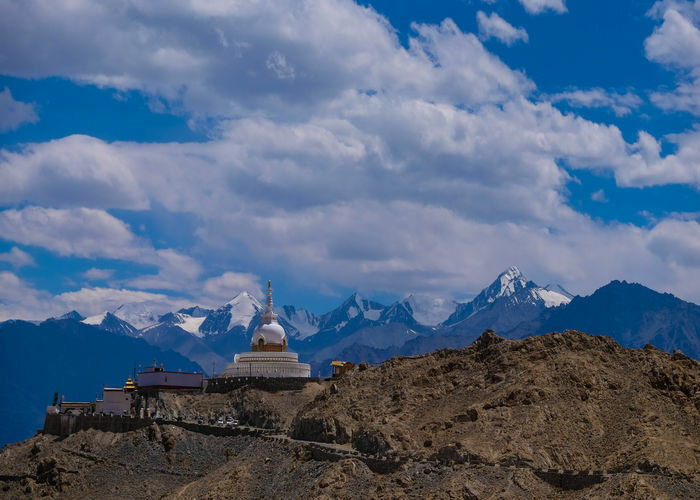 On this day no need to rush you are free to explore Leh, visit markets and Gurudwara pathar sahib, magnetic hills, Hall of fame, Shanti stupa, Thiksey Monastery, Alchi Choskor Monastery, Likir Monastery, Leh Royal Palace, and local Tibetan market evening will be at leisure. Dinner will be served at Hotel. Enjoy your overnight stay. Start early morning after breakfast start journey to Khardung -La pass 18380 Ft. 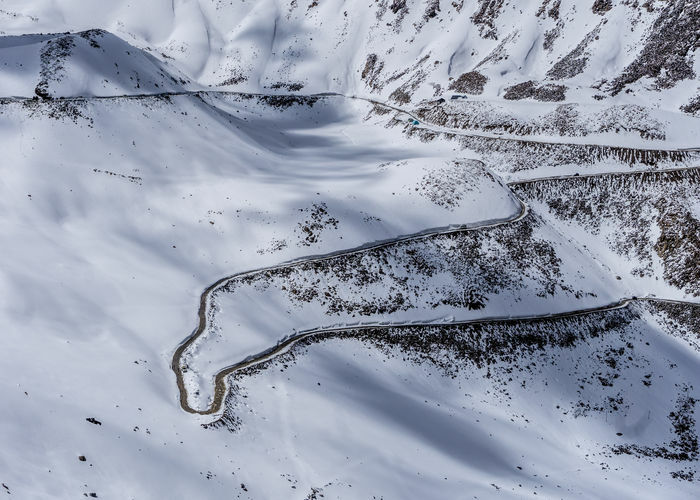 The highest motor able road in World. 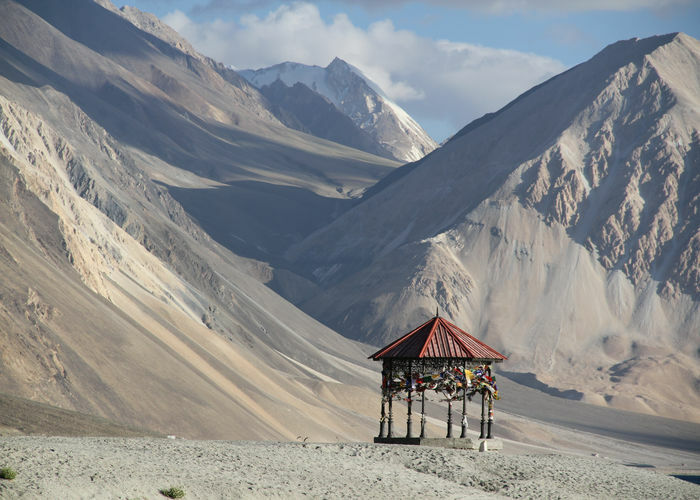 Further continue the journey toward Nubra Valley. Next halt will be at Siachen base Camp at North pullu. 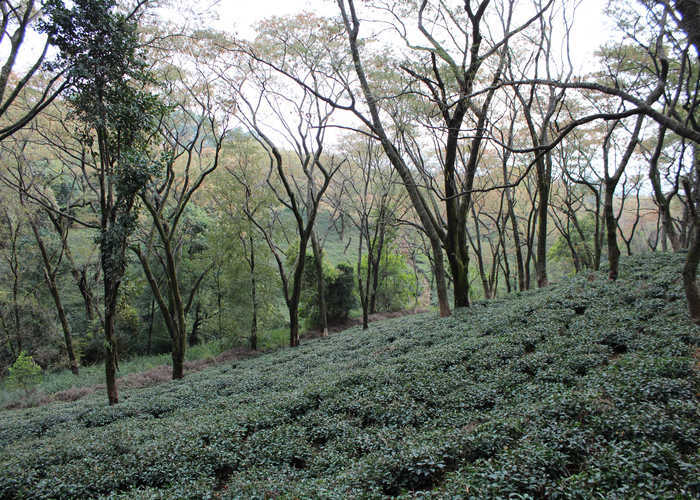 Enjoy the scenic beauty and Landscapes. Reach hotel/ camp by evening. 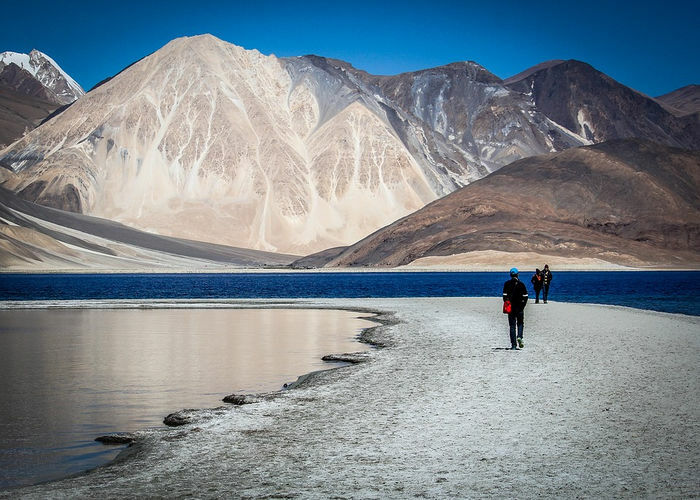 Dinner and overnight stay in Nubra valley with bonfire. Enjoy the most yummy food in mid of nowhere. After breakfast we will go to sand dunes enjoy the camel ride and photo shoot at Diskit. This is the famous silk route. 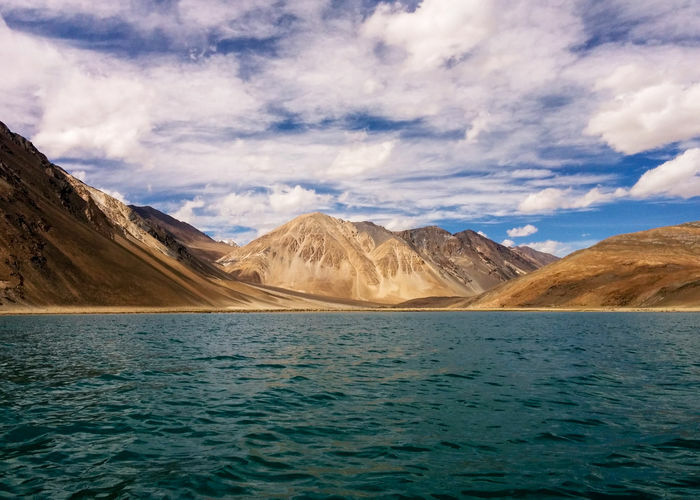 After some fun start journey toward Pangong lake. The route is Less travelled, but the most adventures one. Be ready to test your riding skill. 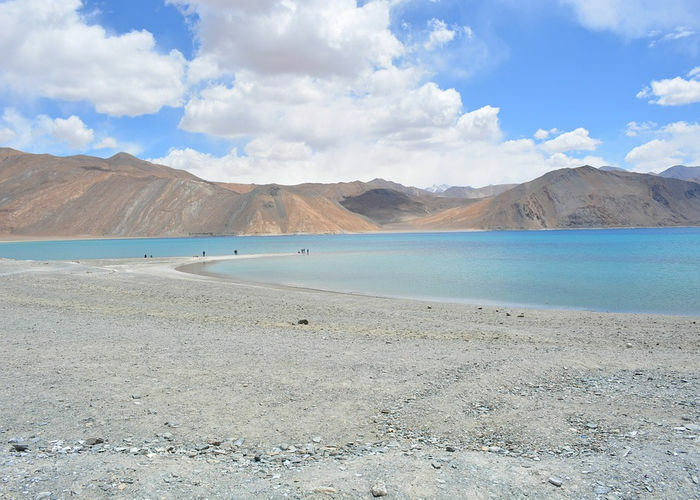 Reach Pangong Lake by afternoon. 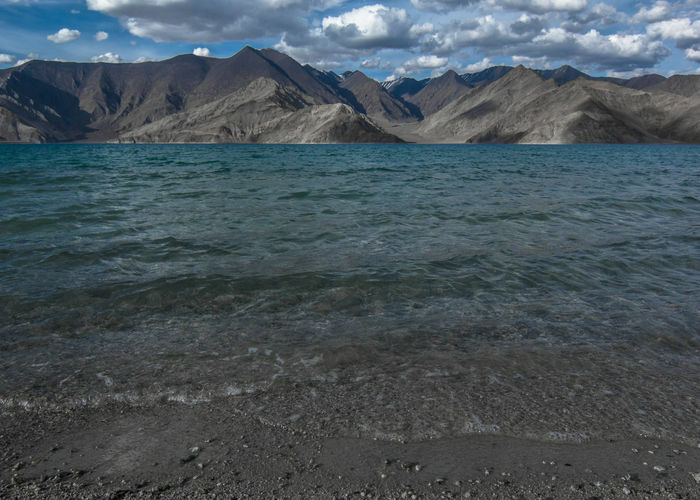 The camps are the best place to stay in Pangong, enjoy the scenic beauty of most famous lake, the view from camp is majestic. Spend evening in Camps at lake. Enjoy dinner and overnight stay in camp. 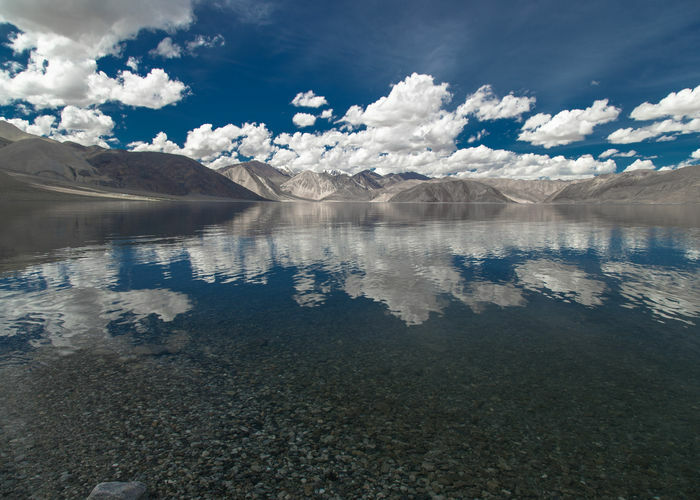 As per government rule if camps are not permitted at Pangong then we will stay at nearby destination as per availability. Wake up and start journey after Breakfast. Today the ride will be smooth and beautiful roads, We will cross through Fotu La, Namki La, Lamayuru and Moonland. This route offer some breathtaking Landscapes. While after that we will cross magnetic Hill and Gurudwara pathar sahib. Reach Kargil by evening and check in hotel. Enjoy morning at Kargil, will cross Drass the second coldest habitable place on earth later we will pay visit to “Kargil War Memorial” located at Drass sector to pay homage to our War heroes, Where 1999 war was fought with Pakistan. After We will cross Gumri post and halt at Gumri café – a café in mid of nowhere run and maintained by Indian Army. 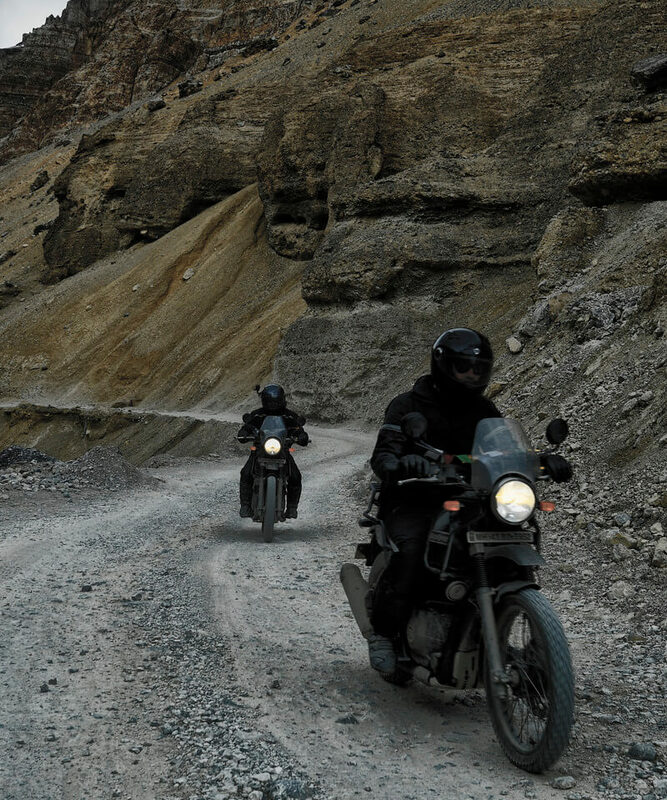 Later the deadly Zojila pass will test our riding skills. Finally we will reach Sonmarg; lush green landscape is ready to welcome you. Overall a very beautiful yet challenging ride. Reach Srinagar by evening. Today is the last day of expedition. head toward your home destination. Expedition Concludes here with lot of beautiful memories. Start journey after breakfast toward Pathankot. 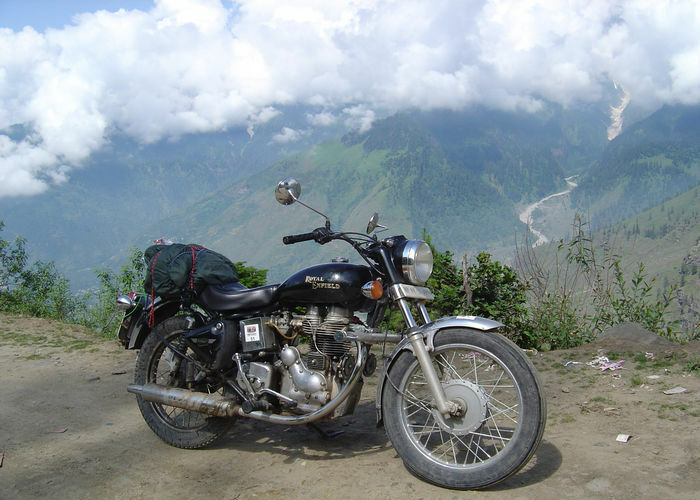 Today half drive / ride is in mountains and later half is at plains – Highway. So the distance is not that much as we can cover lot distance on highways. Reach Pathankot in evening. Today is the last day of expedition. Wake up in the morning and start journey toward Delhi. Today we are riding / driving on plain highway so no mountain riding, we will be crossing cities only. Reach Delhi in evening and later head toward your home destination. During this tour, you will be accommodated at several hotels, guesthouses, and fixed tents on a twin sharing basis. Personal expenses like drinks, tips to hotel staff, etc. A security deposit of Rs. 10,000 to be given when the bike is handed over to you. The deposit will be returned on completion of the trip. 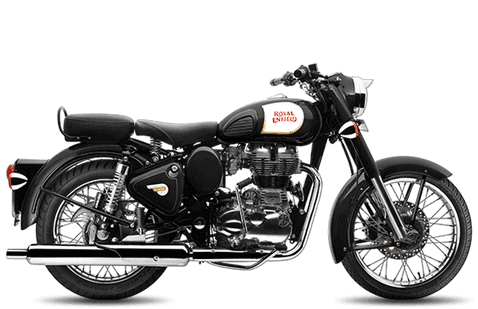 The rented bike is the responsibility of the traveller. 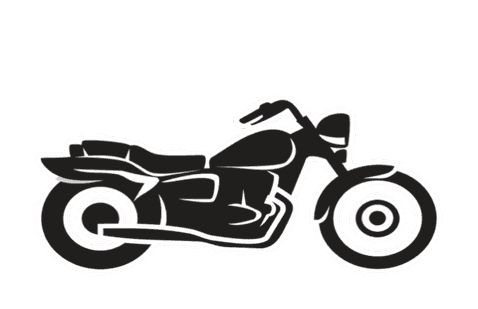 In case the bike is damaged while riding, the rider is responsible for the same. To confirm your spot, a deposit of Rs.5,000 per person needs to be paid. The balance needs to be paid 15 days before the tour start date. Before 30 days before the trip start date or not traveling: No refund. No refund will be applicable in case of cancellation due to Natural contingency, political turmoil or disaster. Book your flight to arrive at Indira Gandhi International Airport(SXR). In case of special food preference, kindly communicate to us while making a reservation. 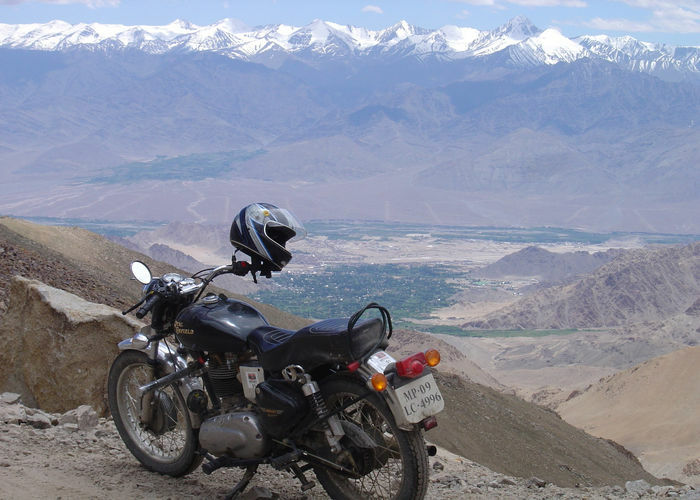 This Ladakh and Spiti bike ride is a scheduled trip. 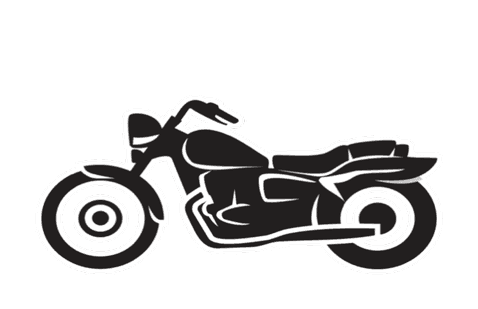 If you want to venture out with your own gang, we can customize this tour for you. Do get in touch with us for more details.